FC Barcelona went through their paces this Monday in heavy rain at the Ciutat Esportiva. After picking up a crucial victory on the road at Villarreal thanks to goals from Luis Suárez and Leo Messi, the players who started carried out a recovery session. 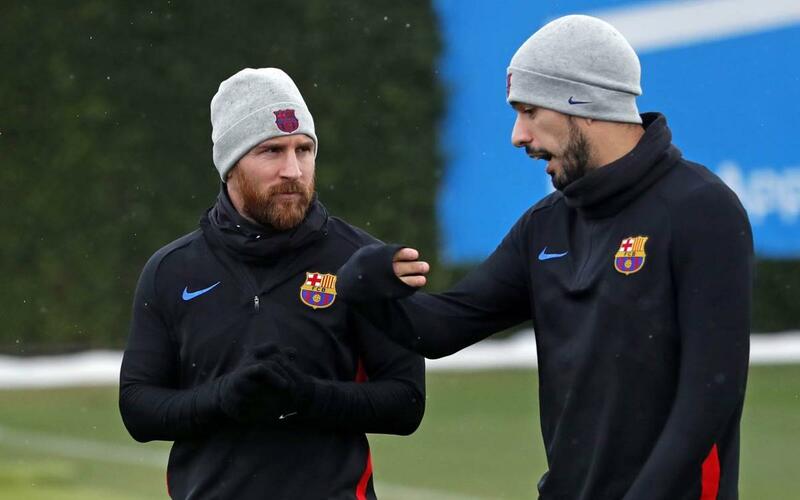 Training on Monday happened to coincide with the Champions League draw in which the blaugranes were drawn against Chelsea in the last 16 of the competition. The session was led by coach Ernesto Valverde and all the available first team players took part along with Oriol Busquets, Carles Aleñá and David Costas from the B squad. This week is the first for a while without a game in midweek for the blaugranes as their next fixture is at home to Deportivo La Coruña in La Liga on Sunday, 8.45pm CET at Camp Nou.